A spokes person for Multi choice has revealed that the move is in line with a desire expressed by the two clubs to have their own television stations. “We are responding to a demand by the two clubs to have a station and we hope this can make them even more popular,” the spokesman told Goal. This comes after AFC had tried to launch Ingwe TV in partnership with Zuku, only for the plan to be nixed by Supersport and KPL who said that it infringed on KPL’s contract with Supersport. First off the channel will offer an opportunity for fans to get an inside look at the club including interviews with players, officials and other fans. This ought to include interviews from former players and former officials especially the true club legends like Bobby Ogolla and Austin “Makamu” who both played when Gor Mahia last won the CECAFA cup. It offers an opportunity for the club officials to enhance the spirit of transparency and provide updates on initiatives like 350100 and the membership recruitment drive, both of which have now stalled due to lack of action from officials. It presents the officials an opportunity to engage in public relations, something they have not done. 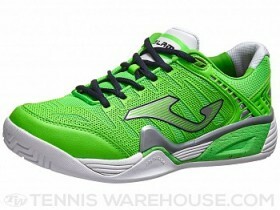 Gor Mahia is already this most popular sports team in Kenya and one of the most popular brands. This channel can enhance that standard if officials take this opportunity and use it properly. It even presents fan groups like Gor Mahia fans foundation an opportunity to highlight the good work they do such as visiting children at Kenyatta hospital. And most importantly, it will put money in the coffers of these clubs and enable them to be competitive in continental competitions. As things stand now, most Kenyan clubs have little chance of advancing to the group stages of continental tourneys. Even our neighbours to the South (Yanga, Simba and Azam) are often better funded and can threaten to grab players or coaches. There were no major surprises when Gor Mahia named the squad that will do duty at the CECAFA club cup. All the key players were named in the squad published in the Nation. Some second tier players have been surprisingly left out including Camerounian Simon Pierre who scored a crucial goal against Nakuru All Stars recently. Also missing is another big name: George Odhiambo “Blackberry”. Although many will have difficulty coming to terms with the fact that the former fan favourite is now a second tier player. What Blackberry needs most now is playing time to regain his confidence. Form is temporary but class is permanent. On the technical bench, Bobby Ogolla was not named likely because he has not fully recovered. His vast experience would have been useful given that he has played in this tournament at least five times and was in all the Gor Mahia squads that won the CECAFA club cup (1980, 1981 and 1985). Indeed Bobby was a legend all over the CECAFA region and any Ugandan, Tanzanian, Zambian or Malawian knew Bobby. In fact I have met many Tanzanians to this day who still remember Bobby’s exploits on the CECAFA stage. On the other hand, the good news is that all the key players are available and seemingly injury free. 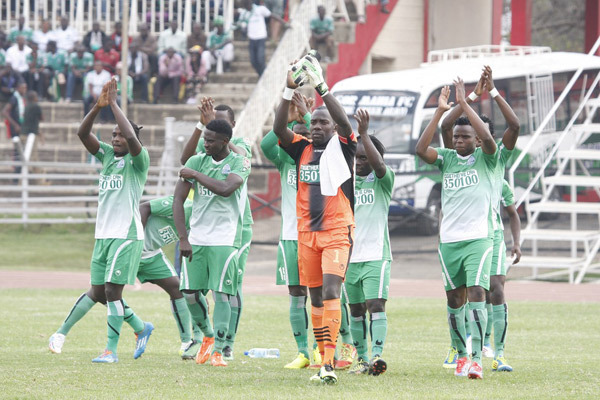 Its a glorious opportunity for Kogalo to win a tournament they last won 29 years ago. It is also a glorious chance for these players to showcase their skills and gain regional glory and fame. Patrick Oboya who has been unfit and out of shape often is now slowly working his way back to shape. This tournament provides a platform for him to accomplish his stated goal of returning to the national team. For Timothy Otieno, its a chance to build on his fast rising reputation that has seen him named to the national team rapidly. Goalkeepers: Jerim Onyango, David Juma, Joel Bataro. Defenders : Godfrey Walusimbi, Kevin Oluoch, Musa Mohamed, Haron Shakava, Kennedy Opiyo, David Owino, Charles Bruno. Midfielders: Joseph Kariuki, Baba Kizito, Eric Ochieng, Collins Okoth, Simon Mburu, Daniel Onyango, Timothy Otieno. Strikers; Dan Sserunkuma, Patrick Oboya, Arthur Ssemazi. Technical bench: Bobby Williamson (head coach), Frank Ouma (team manager), Iddi Salim (goalkeeper trainer), Patrick Opiyo (team doctor). Head of delegation: John Pesa. After the mashemeji derby, match, the players benefited from a Ksh 75,000 cash donation from fans as a way of saying thank you for maintaining their form despite not being paid allowances for weeks. This according to a report on goal.com. If it is indeed true that the club has n0t been paying player allowances then it is a grave issue that the club must address immediately. A few weeks back, club official announced that the membership recruitment drive has stalled due to lack of interest from fans. In addition, the club says that the 350100 initiative has also stalled. Its time for the club officials to put these two initiatives back in gear as they have been on neutral for months now. In fact the initiative picked up steam when the club regularly updated fans in the spirit of transparency. But the club has long since stopped. And the club still has not announced any progress they have made towards resolving the standoff with the Kenya revenue authority. Last year, the KRA contacted Gor Mahia about outstanding tax bill. The KRA claims the club was lackadaisical in its response and thus it slapped a ksh 118 million tax bill on the club. Now this year it appears the same pattern might be repeating itself. It has been four months now. The last thing we need is for the players to adopt another go slow at a critical moment. The fact that fans conducted an impromptu Harambee to pay players is a good thing. However it also means that many fans do not trust officials with their money and are willing to contribute if they can bypass said officials. Remember the same scenario ensued during the Solomon Nasio saga when fans organized themselves and raised Ksh 150,000 in the space of two days and the money went directly to pay Nasio’s hospital bill. This means the club EC must work harder to assuage fans who are still apprehensive about transparency. Its a known fact the club is going through very difficult moments financially,and i have always believed fans n branches can proactively AUGMENT THE EFFORTS of the officials,esp,during these hard times…..
Coach Bobby Williamson has come out in defence of goalkeeper Jerim Onyango who has come under heavy criticism from fans. Jerim seemingly gifted captain Martin Imbalambala the second goal when he came out of his line in the 82nd minute leaving an empty net beside him. Until that time, Gor Mahia had looked set to win. It was an error similar to the one that gifted Esperance their second goal during the Champions league first round match. However Williamson insists that Jerry has been doing an excellent job and should not be judged on one error. Goalkeeper coach Abdul Iddi Salim has also come out to defend Jerry. Salim also insisted that Jerry played well and should not be judged on one error. Striker Dan Sserunkuma continued his impressive scoring rate against archi rivals AFC Leopards when he notched two goals. Sserunkuma who only returned from trials in Denmark two days ago was in fine form. Sserunkuma was happy with the result but expressed disappointment that his side did not win. “It was good that I scored but we are disappointed because we never won”, he said. 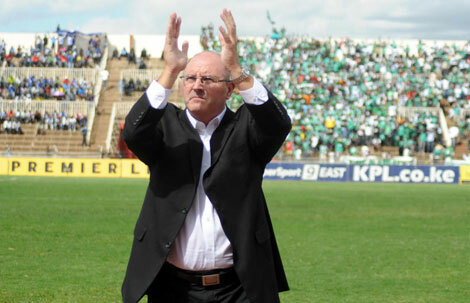 Gor Mahia coach Bobby Williamson expressed dissapointment at the defensive blunder that gifted AFC the equalizer. “I am disappointed with the result today since we could have performed way better. The decision by our goalkeeper obviously cost us the second goal” he said after the game. 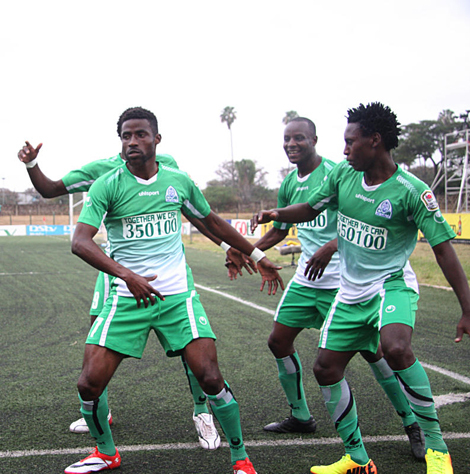 The draw still leaves Gor Mahia at the top of the table after Tusker were held by Bandari. Former Sofapaka and Ulinzi coach Salim however said that the midfield was to blame for the second goal for allowing Imbalambala too much space to shoot. Veteran Harambee stars defender Musa Otieno also faulted Gor Mahia’s defensive which he characterized as not worthy of Gor Mahia. 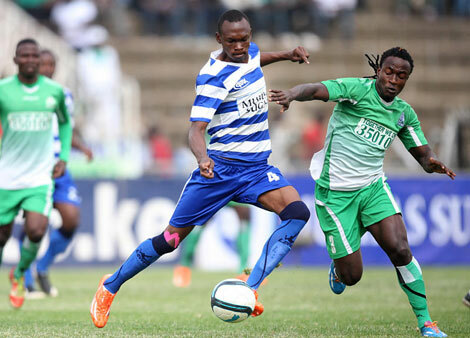 Gor Mahia tied 2-2 with AFC Leopards. Dan Sserunkuma scored an equalizer followed by a go-ahead goal. But lack of coordination beteween defense and goalkeeper gifted AFC an equalizer. Noah Wafula, Martin Imbalambala and Gor’s Sserunkuma brace bore the balanced result for the Mashemeji derby. The match started on a high note for AFC Leopards featuring Wafula in the 4th minute when he came close with a shot which ended in vain. Musa Mudde failed to connect Wafula’s cross in the 8th minute before tension rose piting Timothy Otieno whose remarkable attempt was saved by Kassaya in the 24th minute. In the 30th minute, James Situma made a long shot outside the box which went passed Austine Ikenna before it was converted by Noah Wafula to put Ingwe in the lead. What remained for Gor at this moment was to fight for an equalizer. Eight minutes from the end of first half, Eric Ochieng’ went for a corner kick which found Dan Sserunkuma whose classic header made it for K’Ogalo thereby balancing goal scores in the first half. Gor came from the tunnel more energized looking for a lead goal. In the 47th minute, Dan Sserunkuma received Mohammed’s pass and took advantage of Ingwe’s defence lapse to seal a clean brace putting K’Ogalo in the lead. The introduction of Jacob Keli and Humphrey Mieno in the 58th and 76th minutes respectively stirred up AFC Leopards who equalized in the 82nd minute courtesy of Martin Imbalambala. The Williamson side made remarkable efforts thereafter in a bid to secure their initial lead but nothing positive came their way even with the introduction of Charles Bruno for injured Musa Mohammed. The match ended in a draw with both teams taking home one point. Starting XI: 1. Fredrick Onyango. 5. Musa Mohammed [21. Bruno Charles 88’]. 18. Harun Shakava. 15. David Owino. 2. Godfrey Walusimbi. 3. Baba Kizito. 17. Eric Ochieng. 6. Collins Okoth. 30. Patrick Onyango [7. Simon Mburu 73’] . 9. Timothy Otieno. 8. Dan Sserunkuma. 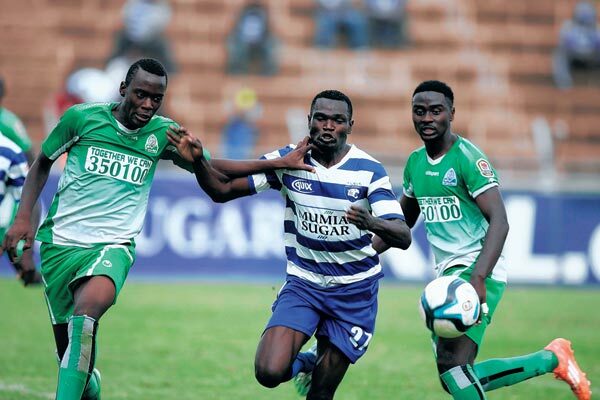 Gor Mahia take the field against arch rivals AFC Leopards on Sunday at Nyayo stadium eager to consolidate their lead over Tusker in the Kenya Premier league given that Tusker are breathing down their neck. Any slip up and Tusker could pull ahead or pull even. More importantly, Gor Mahia will be eager to make up for their 1-3 loss against AFC in the first leg encounter. Opportunities for revenge rarely come this soon and Gor Mahia will welcome this one. In the last match, there was significant instability in the Gor Mahiua camp amid rumours of who was leaving and who was not. AFC skilfully poured fuel on this instability by spreading rumours that they were intent on signing Sserunkuma, David Owino and Rama Salim. Gor Mahia played poorly and it has to be admitted that AFC deserved to win. Now that there is a measure of stability, Gor Mahia’s performance is bound to be better. Gor Mahia fans will be hoping that coach Williams has studied AFC enough and has come up with a formula to win. A major weakness for Gor Mahia last time was the flanks. AFC took full advantage of Gor Mahia fullbacks’s constant forays upfront to launch their attacks from the wings. It was reminiscent of Amwayi and Musuku in 1984. Gor Mahia will have shored up their defence this time around. 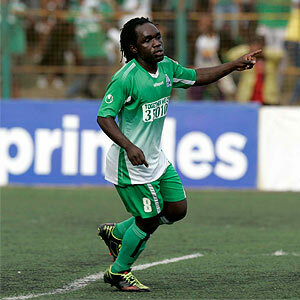 Gor Mahia fans will be hoping that “Danny Flava” will take his frustrations on his opponents on Sunday. he should be able to pick up his budding partnership with fast rising Timothy Otieno. Aside from Sserunkuma, Gor Mahia will also be able to call upon fellow Ugandans Dan Walusimbi and Geoffrey Kizito who have been away on international duty. Are the players feeling pressure ? Coach Williamson has recently appealed to fans to stop pressuring players. “I do my best to bring confidence in the team and I can assure you we’ll do our best on Sunday. I understand the derby means a lot to them the same way it means to us but it’s not a matter of life and death! Don’t condemn players on social media, don’t pressure us,”. Perhaps Williamson should instruct players not to pay attention to constant fan critiques. 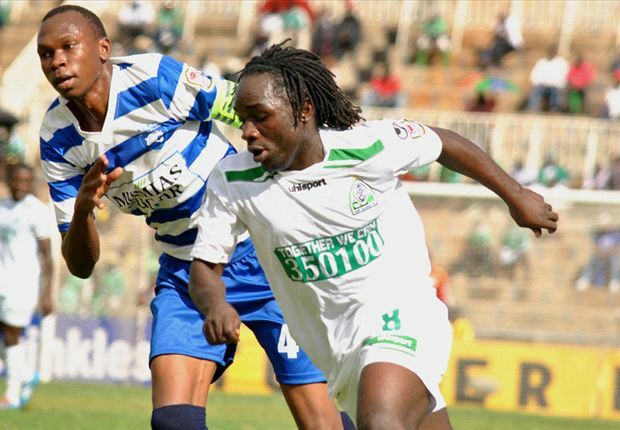 Gor Mahia and AFC officials Chris Omondi and George Aladwa have come together to appeal for peace ahead of the derby. “We are all brothers and sisters and should maintain peace during Sunday’s match. We must show the whole world that we are brothers and should not disappoint. “I will be happy to see a peaceful match like what happened in first leg. Football is about losing and winning and whoever goes down should embrace the other,” Aladwa told goal.com. The appeal for peace is timely. Gor Mahia fans will need to maintain the calmness they have displayed this year. Bobby Williamson has urged the fan base to cheer the players and avoid putting them under undue pressure ahead of the crucial derby on Sunday. Bobby also sought to assuage the concerns of a section of the fan base who think he does not take the derby seriously. Coach Williamson has yet to win a derby match and has lost twice, once in the Gol TV shield final and once in the first leg of the 2014 KPL league. Is there a go-slow at the club ? Earlier reports posted in futaa.com indicated that certain players were on a go slow. The report mentioned that Kennedy Ayong’, Simon Mburu, Collins Okoth and Eric Okoth were very unsettled at the club after the club officials failed to fulfill promises concerning the sign on fees. Club assistant secretary general Ronald Ngala confirmed the reports whilst revealing that they are planning to clear the debts as soon as possible. Midfielder Eric Ochieng has now rubbished those reports. Am amazed at how people can be so idle to formulate such misleading reports, I just got a call from a friend asking me if it’s true we are on a go slow and I was shocked! It’s so bad seeing such acts of unprofessionalism. -The fact that we are going through tough times as a club doesn’t mean we are not doing our best, there’s nothing like a go slow and I am not part of any neither are my team-mates, he said according to the report. Gor Mahia is Kenya’s top brand. What will come of this ? It is a Swiss organization that conducts research about customer satisfaction, product quality and customer behaviour using innovative research scheme and methodologiesis primarily focused on the global recognition and promotion of product quality and value. They have conducted research studies in well over 40 countries in five continents. The fact that this is an Independent non-biased consumer research firm lends this study a significant degree of credibility. This finding puts Gor Mahia ahead of every other sports team as far as Kenyans are concerned. Gor Mahia officials should be able to parlay . These findings are significant in that they should open the eyes of potential sponsors. 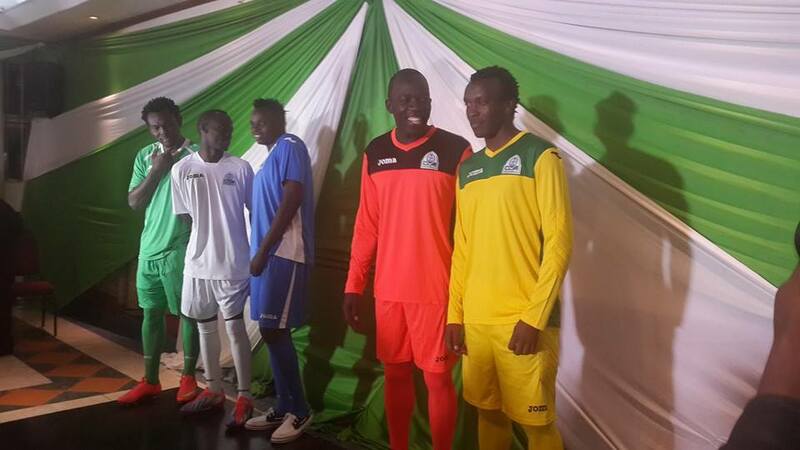 “Gor Mahia is a big brand and we hope to have a shirt sponsor soon,” said Rachier to the Nation. Meru governor recently cited Gor Mahia as one of the reasons he is spending Ksh 200m to upgrade Kinoru stadium in Meru and millions more to set up a sports academy in his county. Munya said his government considers sports as a major business for locals due to high number of people attend matches at the stadium, hence the heavy investment. “People spend in our hotels when teams come to Kinoru stadium. Food suppliers will also get business. When Gor Mahia came to play Tusker, all hotel rooms were full. We want to sustain this.” said Munya. So how can Gor Mahia take advantage of these findings ? The evidence clearly suggests that Gor Mahia should be receiving far greater sponsorship than all other sporting entities. So why is’nt it ? Consider rugby for example. The amount of sponsorship that Kenya rugby receives considerably dwarfs football. The Kenya XV team recently penned a Ksh 75 million sponsorship with EABL. This is almost twice what any Kenya football team receives. But if you think that is amazing then consider the fact that the Kenya sevens team has a sponsorship from Kenya Airways that is worth a whopping Ksh 400 million over two years. And we havent even mentioned the sponsorships that Kenya rugby receives from entities like Bamburi cement and so forth. Therefore we must ask ourselves why rugby is so successful at garnering sponsorship and what can we learn from them. Firstly its a question of and public perceptions. Rugby is seen as well run, transparent, fashionable and marketable. Secondly its a question of public relations . Gor Mahia has an uphill task in this regard. But the hill can be climbed. 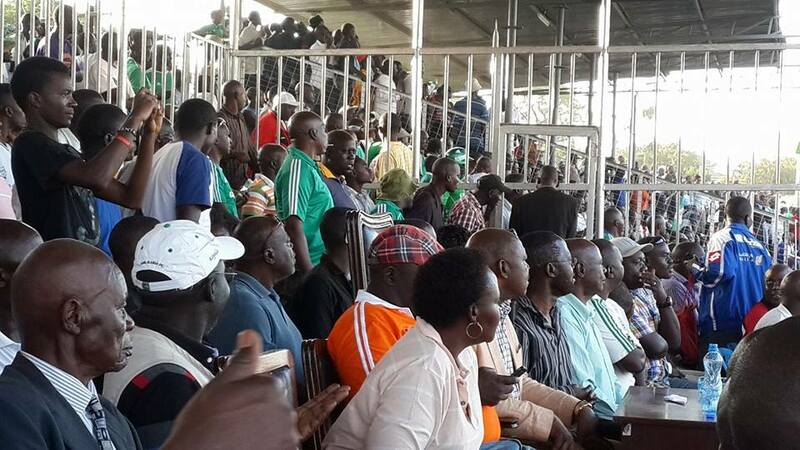 Gor Mahia fans have been on relatively good behaviour of late. The club lost to arch-rivals Ingwe recently and fans left the stadium peacefully. They were eliminated from the Shield last weekend and once again fans left peacefully. If I were Ambrose Rachier I would highlight the peaceful behaviour by publicly congratulating the fans for being calm. I would take every opportunity to highlight the positives. Remember the media is quick to highlight even the slightest negativity from Gor Mahia fans. Its therefore up to the club EC to highlight the club’s positives. Aside from garnering sponsors, it will bring more fans to the terraces. And why not build on the sentiments expressed by Meru governor Peter Munya which bolster what this column has been saying for a long time : Gor Mahia is good for this country. It must be said however that Mr. Rachier has indeed fought a good fight in ridding the club of bad elements. More needs to be done by him and other stakeholders including fans. Three years ago, media monitoring company Realforge reported that KPL attracted media coverage worth Sh686 million over the period of March to November with Gor Mahia enjoying a coverage worth Sh200 million as Advertising Value Equivalent. This was by far the highest of any Kenyan team. It was around the same time that Gor Mahia entered into a partnership with Tuzo. Will this ICERTIAS study be a harbinger of good things to come ? Posted in: NewsTagged: Gor Mahia brand, Gor Mahia sponsor, ICERTIAS9 Comments on Gor Mahia is Kenya’s top brand. What will come of this ? Gor Mahia deputy secretary general Ronald Ngala yesterday indicated that striker Dan Ssserunkuma might be available for the Mashemeji derby second leg to be played on Sunday. Sserunkuma left for Denmark for trials with HB Koge and has since featured in at least two matches during their tour of Germany. He is set to return on Thursday while he awaits a decision from HB Koge. Sserunkuma’s has scored several crucial goals against AFC Leopards. Indeed his scoring record in this derby is second only to the legendary Sammy Onyango “Jogoo”. Gor Mahia could use his firepower given that the forwardline appears to have stalled in the last two games. More importantly, Gor Mahia will be trying to redeem themselves after losing to AFC 1-3 in the first leg match a few weeks back. Coach Bobby Williamson who has yet to beat AFC has indicated Sserunkuma will certainly be in his plans if he makes it home before the derby. “I will be glad to have him for the match. He is a good player, who can help us in the derby.” he told goal.com. Indeed Williamson’s record in the Mashemeji derby is a starke contrast to his predecessor who always beat AFC. The Scot will be eager to record his first Mashemeji win. A victory this Sunday would be a harbinger of good things to come as far as the CECAFA cup which starts next month. Gor Mahia have been playing well in the last three KPL matches with the exception of the forward-line which at times has appeared blunt. Much of that is likely due to turnover of players which has seen Williamson try several players of late including new signing Arthur Ssemazi, Blackberry and Oboya. Strikers need to play together for some time in order to build cohesion. The addition of Sserunkuma and his budding partnership with Timothy Otieno could be what Kogalo needs this Sunday.